I wanted to get this out in time for Halloween weekend gaming. This is based on a conversation I was having on Facebook where we all discussing the "Seven Best". I had a number of people ask me what I felt were the Seven Best Horror RPGs. For this I immediately thought I am not going to include any horror RPG I have either written or worked on, but as it turns out that is a non-issue since my top seven are all ones done by others. If this was a Top 10 then we might have other problems! 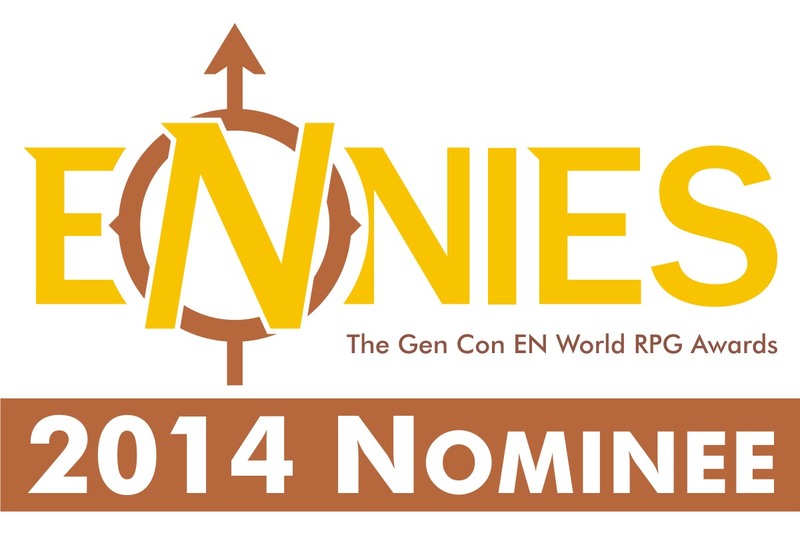 So without further ado, here they are my Seven Top Horror RPGs, arranged by year and one honorable mention. There is a chill in the air, gloomy clouds in the sky and leaves are all turning. It is October and it's the time of the season for horror games. I have been playing horror games for as long I have been playing RPGs. Even my fantasy and sci-fi RPGs take on a slightly darker tinge to them. 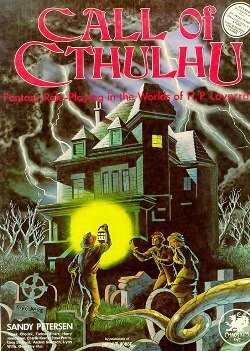 So with Halloween just around the corner I wanted to talk about my Seven Favorite Horror RPGs. The game had a great concept in Mental Balance that was the first real challenger I felt to Call of Cthulhu's Sanity score in terms of gauging the mental health of the characters involved. More out of balance you are the stranger you become even to the point of not being altogether human yourself anymore. 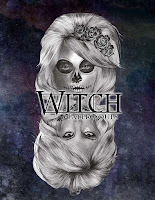 The central idea behind WitchCraft is the same as most other Modern Supernatural Horror games. The world is like ours, but there are dark secrets, magic is real, monsters are real. You know the drill. But WitchCraft is different. There is a Reckoning coming, everyone feels it, but no one knows what it is. Characters then take on the roles of various magic using humans, supernaturals or even mundane humans and they fight the threats. Another conceit of the game (and one I use a lot) is that supernatural occurrences are greater now than ever before. Something's coming. 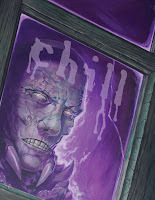 You can play the same sort of games you played in Call of Cthulhu or Chill as well as Vampire. 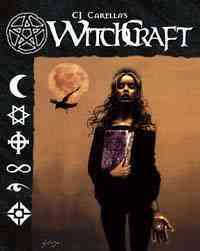 WitchCraft assumed that all supernatural views of the world were equally likely. So vampires could rub elbows, metaphysically speaking, with elder horrors from beyond. Your characters can be there to stop them, study them or join them as the case may be. 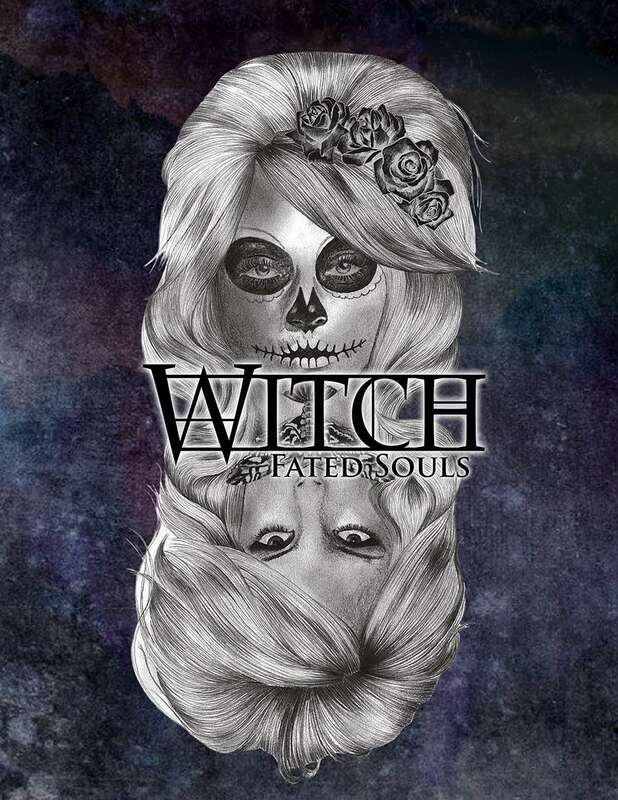 I know I am only doing Seven games, but WITCH Fated Souls by Elizabeth Chaipraditkul combines a lot of what made all these other games so much fun. 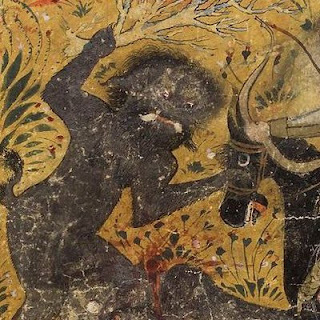 You have the struggle with power vs. humanity vs. damnation you see in Vampire and Sorcerer. 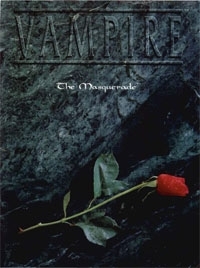 The hidden world of Little Fears, Chill, and Kult and the power struggle between faction you can see in WitchCraft and again in Vampire. All against a background that is as unique as Call of Cthulhu and Kult. I picked up this game last year and have not done enough with it yet. All these games are great and many have won numerous awards over the years. They have been enough that they cover most aspects of horror. Of those on this list I've only played CoC and VtM, but I own several of these in pdf form.I need more horror gaming in my near future. It is amazingly how often the absolutely fantastic Chronicles of Darkness is left off of lists like this. 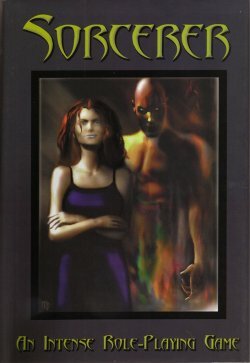 It a flexible system designed for everything from personal horror to end of the world games, and it now has a half dozen major subgames (not to mention the ones for 1e when it was called the World of Darkness). If you haven't seen the second edition of the games, do yourself a pleasant favor and check them out. 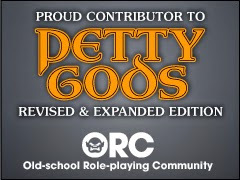 First ed was mired in WoD thinking, but the second edition are much more free of legacy and have Twists and Shards that do things like reduce the game down to two stats (a la Lasers and Feelings), or other radical changes that allow you to tailor the mechanics at any time to whatever is most appropriate for the game. @Evan, Oh I know. In fact I talked about CoD/nWoD last week. But I had to limit myself to only 7. nWoD might have made the top Ten, but in my mind WitchCraft can do everything it can do and I like the system a bit (ok a lot) better. I owned and read most of the games presented here and totally agree with the list. 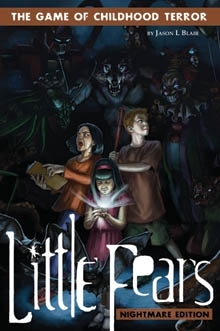 Little Fears however was a RPG I didn't even dare of leading as I felt sick at times just by reading some parts of it (lust in particular). Unknown Armies deserved a special mention at the very least. In which you play a ghost with unfinished business. Special mention on the actual character creation which is hilarious which gives way to a game where interacting with the real world of the living IS difficult and provokes a real sentiment of horror and helplessness. And of course, any game drawing inspiration from Beetlefuice can't be all bad ! You forgot It Came From the Late Late Late Show RPG! Good list of games there. 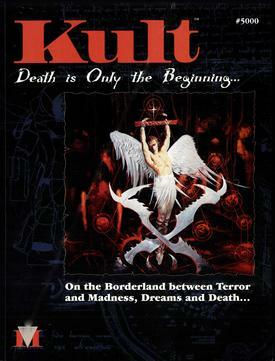 It is always nice to see Kult getting attention as it really is a superb game and really dark. A friend of mine once said the difference between Kult and CoC was that in CoC you are fighting beings who are utterly indifferent to you as you are completely insignificant in their eyes. But in Kult the entities you come up against hate you and want you to suffer. Chill always intrigued me even back in the 80's/90's. 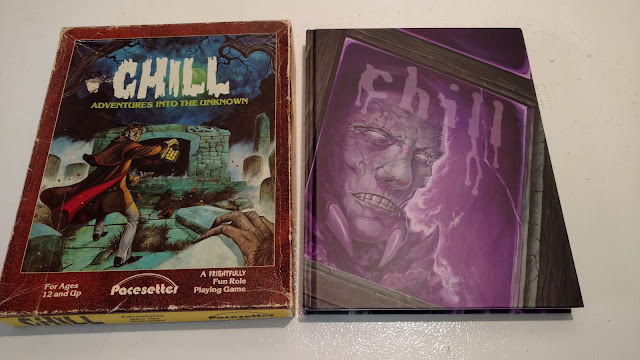 If I didn't own Kult, CoC and Savage Worlds with its Horror Companion (And Contagion campaign setting) I think I would jump at the chance to own Chill.